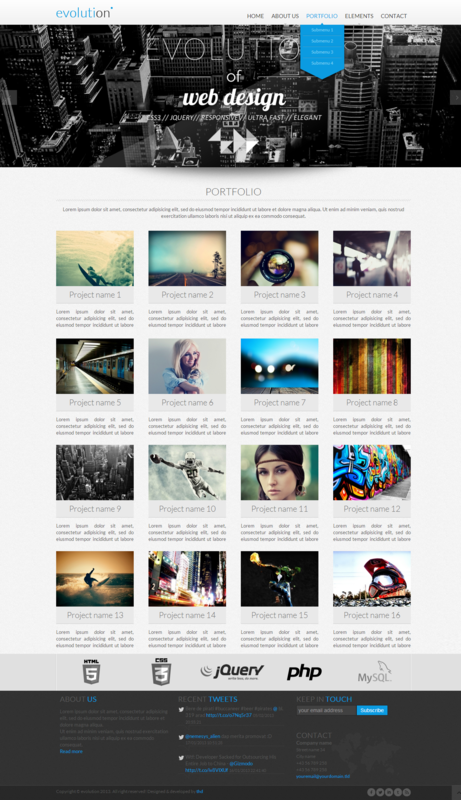 Evolution is an elegant, clean and responsive portfolio theme. 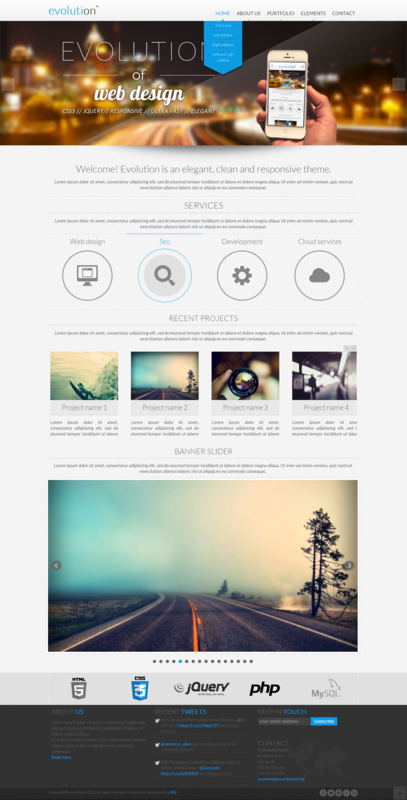 It’s created by using HTML5 and CSS3. 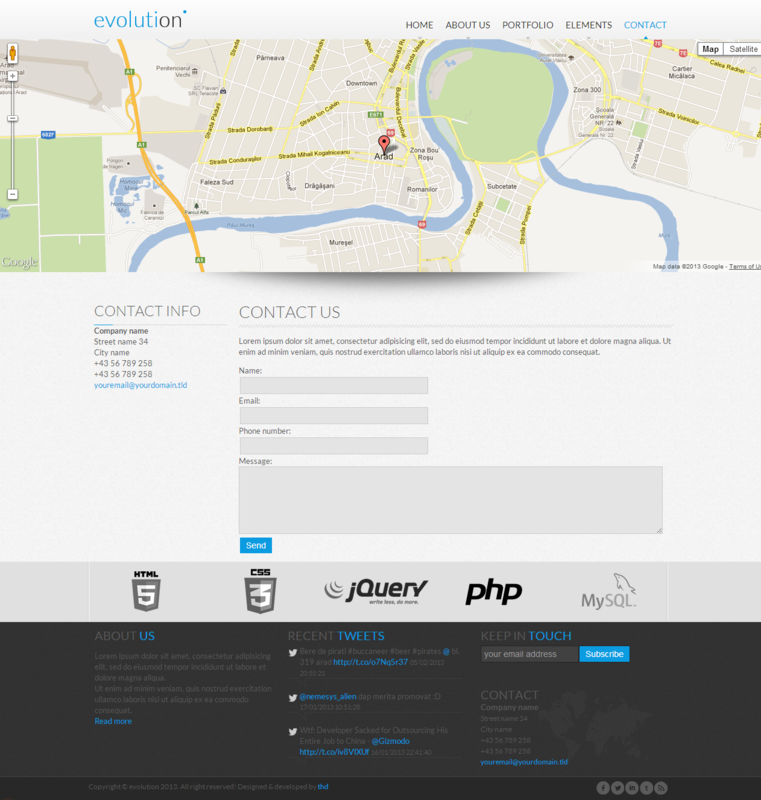 It is responsive and mobile ready, it looks and works great on any device (desktop, tablet or phone) .